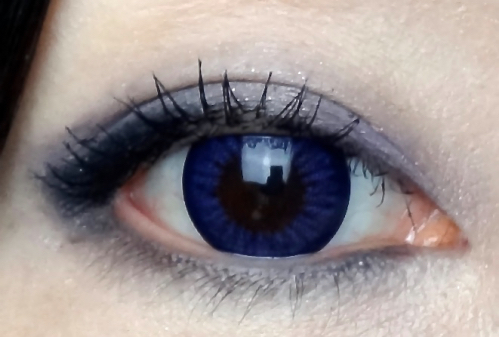 When I saw the stock photos, I suspected these would be medium blue colored contacts. Well, they looked quite blue to me from the website. Sio 3 Color Lizzy Blue consists of navy blue, violet, and purple. All together, it is more of a blurple that reminds me of blueberries. I like that three colors are well mixed in the delicate dots and strokes. Trying to take close-up pictures, I became understand why they looked obviously blue on the product page. No matter what kind of lighting I used, the blurple color pronounces. 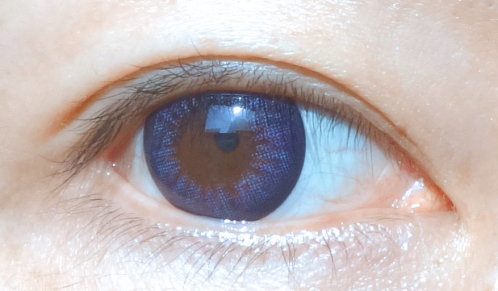 This is probably because the pigment is on the dense side although the color contrast on dark eyes is quite low. But still, none of them really represents how Sio 3 Color Lizzy Blue looks in real life. It is frustrating because I attempted many times to capture it, but I hope you can understand what I mean from the following overall look. Yup, they look natural and perfectly fine to wear to work (or anywhere really). 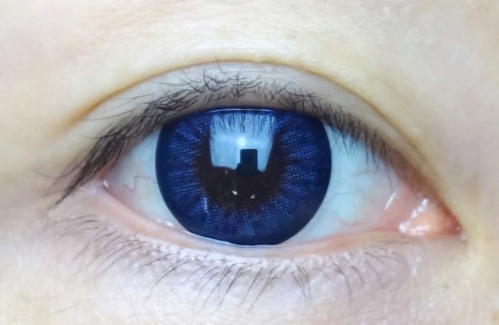 Indoors, they make my eye colors even deeper and more defined only occasionally flashing a hint of blue which will make other people wonder. And I think the subtle color contrast between deep blue and dark brown eyes is rather beautiful. For some reason, my skin looks brighter and clearer when I wear them. 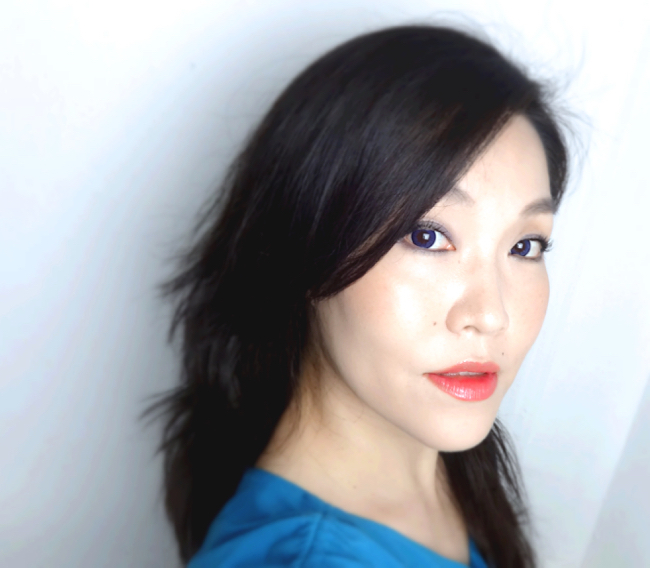 I've tried quite a few makeup pairings, and they look best with minimal eye makeup, which is another interesting and unexpected effect I really enjoy! The only thing I am not so crazy about is that the outer rims are too perfectly round. I guess this would be actually a plus if you are going for a dolly look, but I personally prefer contacts with softer definitions. These are really cool looking! I wish I had the guts to wear them! Lol, giggling at "(Below you will see a bunch of eyeballs. I am not afraid of them because they are my eyeballs, but I still feel that I need to warn you.)." Killing me, Lena, lol. 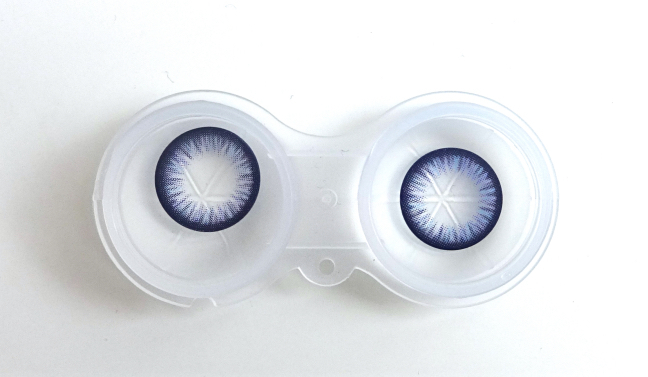 I've seen a really cool violet 3-color design on KLensPop, but it's not silicone hydrogel. Actually, nowadays, the graphic (prints) is sandwiched with smooth clear hydrogel, so I don't think it will aggravate the scar tissue. My guess is that you can certainly wear color contacts if you can wear clear ones, but I totally understand why you want to be more careful with this kind of stuff. This color looks really striking on you Lena and the effect definitely has enough of an impact on it's own that you don't need much eye makeup to go along with it. 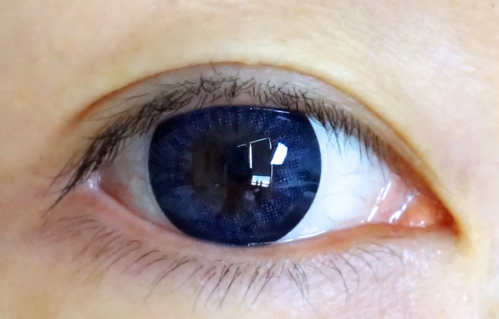 Your eyes looks so hypnotizing with these contacts! <3 I can't stop looking, I can't look away! Beautiful. Wow the color looks super pretty and deep on you cute eyes!